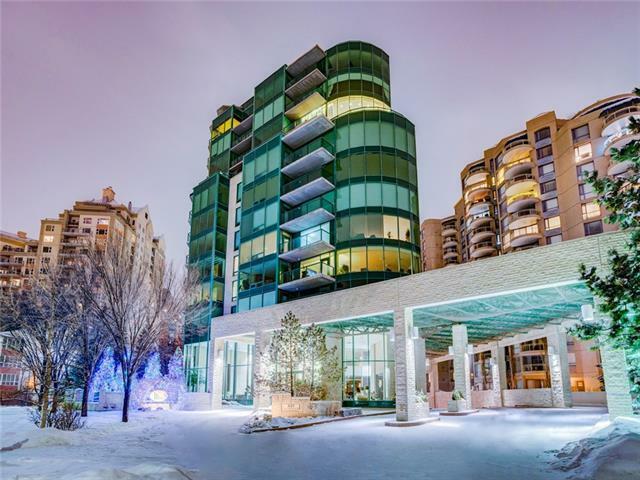 A RARE OPPORTUNITY to live on the 11th FLR in Calgarys most elegant condominium development The Point on The Bow. 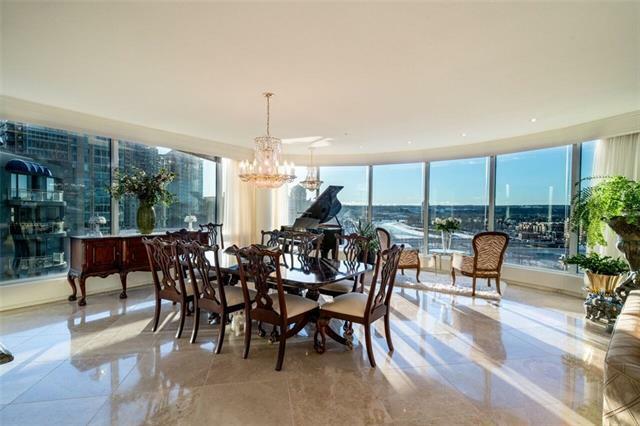 Exceptional amenities & 24/7 Concierge & Security offer the ultimate in luxurious downtown living.Welcome to the most spectacular corner unit featuring OUTSTANDING PANORAMIC VIEWS! 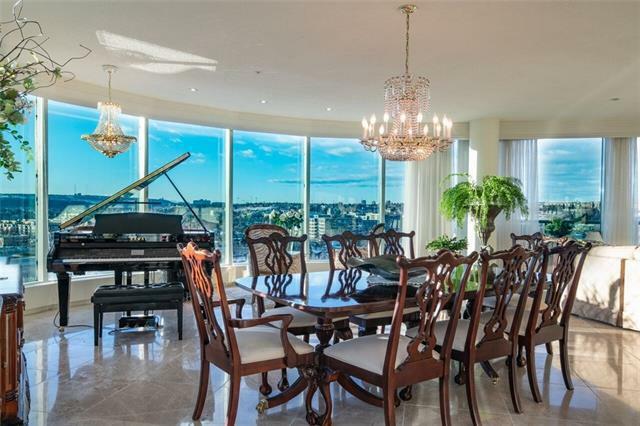 From every angle your eyes are indulged by the Bow River, the walking/biking paths, the Peace Bridge, and the most glorious Rocky Mountains in the distance! The ever-changing skies and beautiful sunsets are truly awe-inspiring. Features include a spacious and open floor plan, 2 bedrooms, 2 bathrooms, custom built-ins, granite countertops, & Sub-Zero & Miele appliances. 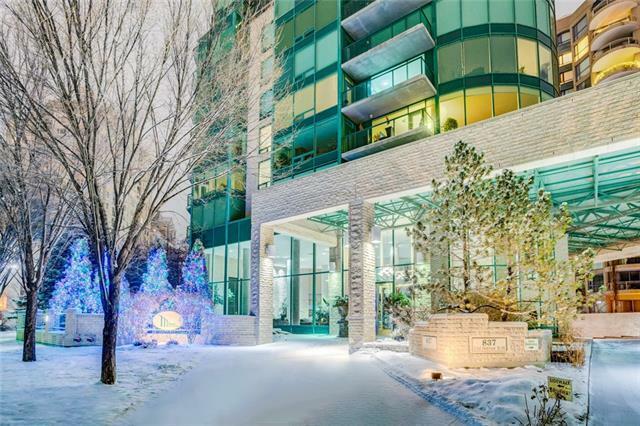 Floor-to-ceiling windows, 3 gas fireplaces, French doors to den/office, laundry with sink, luxurious finishings, heated marble tile flooring & Air Cond. Spacious Master bedroom has plush carpeting and includes a private balcony, fireplace, & 2 closets. Melt into your luxurious Master 'spa' with soaker tub, steam shower, & Infrared Sauna.